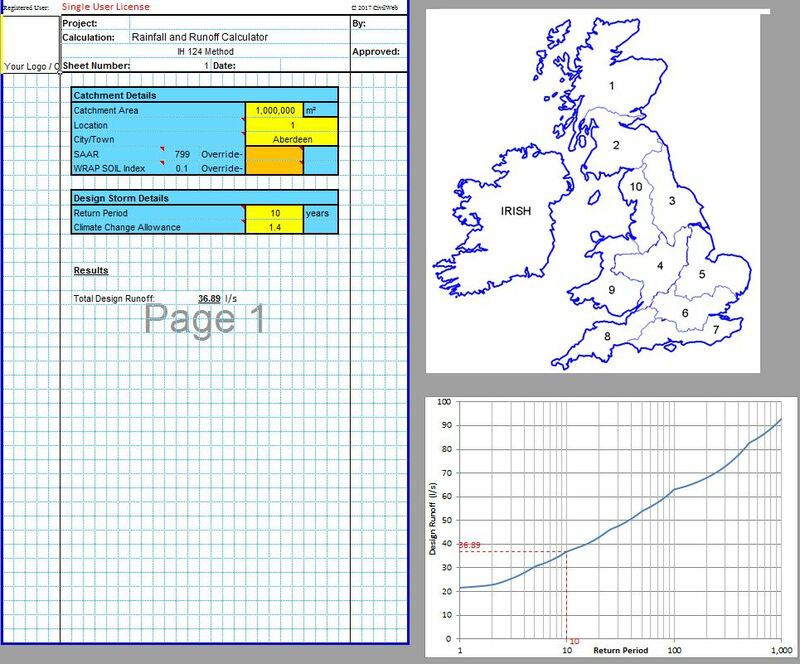 This spreadsheet will allow you to calculate the rainfall runoff using any one of five different methods including the Wallingford Procedure and IH 124. 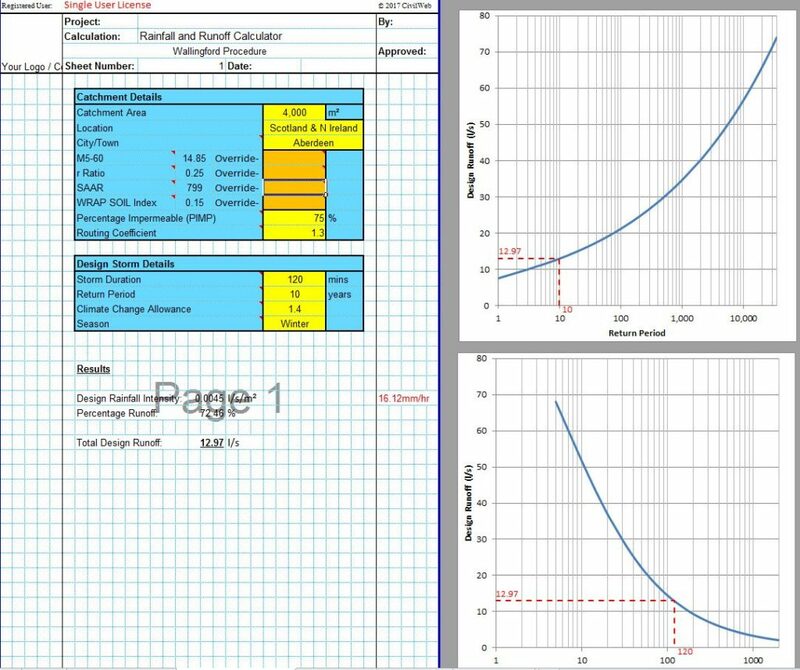 Comprehensive design information on these runoff calculation methods are included in our Surface Runoff Design Pages. 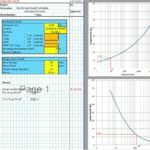 Free 44 Page Ultimate User Guide. 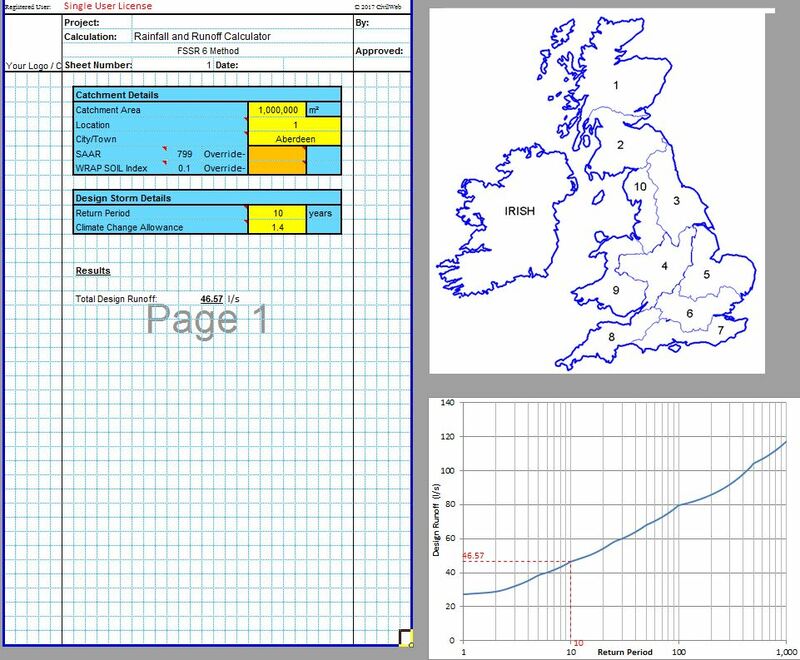 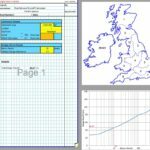 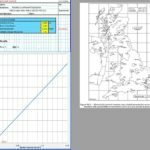 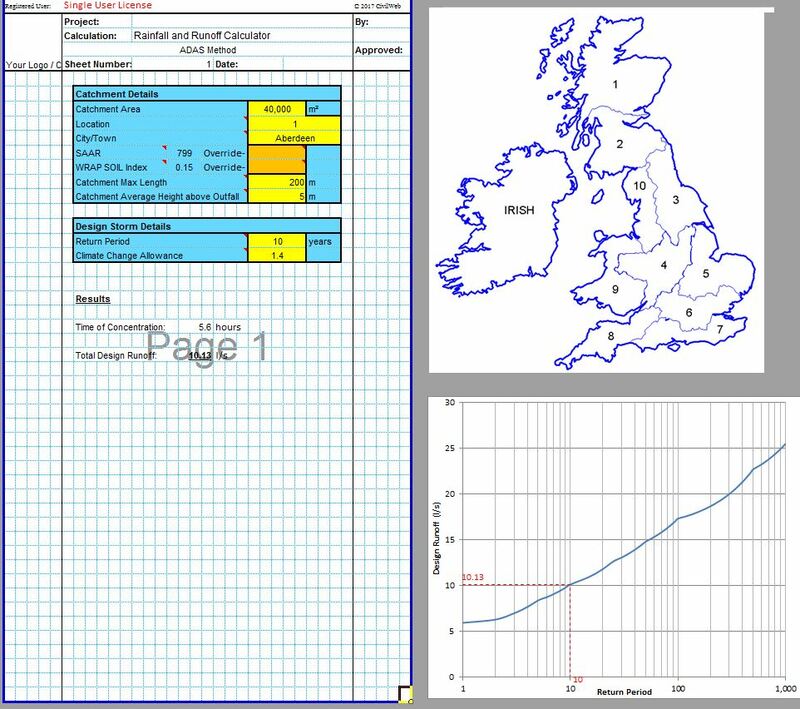 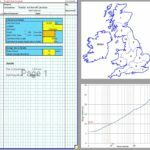 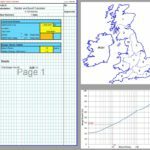 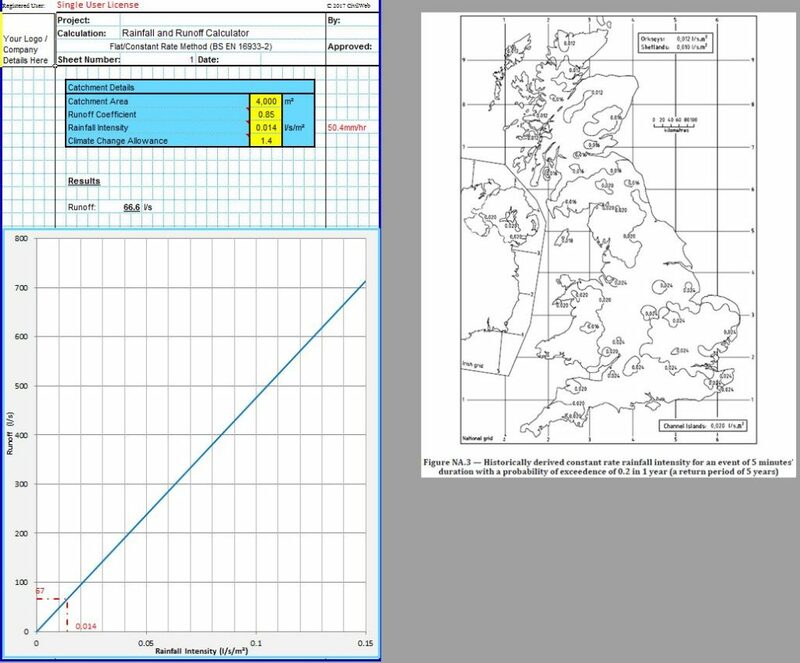 This includes detailed information and typical values for all the required inputs and an explanation of the design standards and principles used in the spreadsheet.